Eddie Hearn says Anthony Joshua will possibly not defend his World Champion title on 13 April at Wembley Stadium. 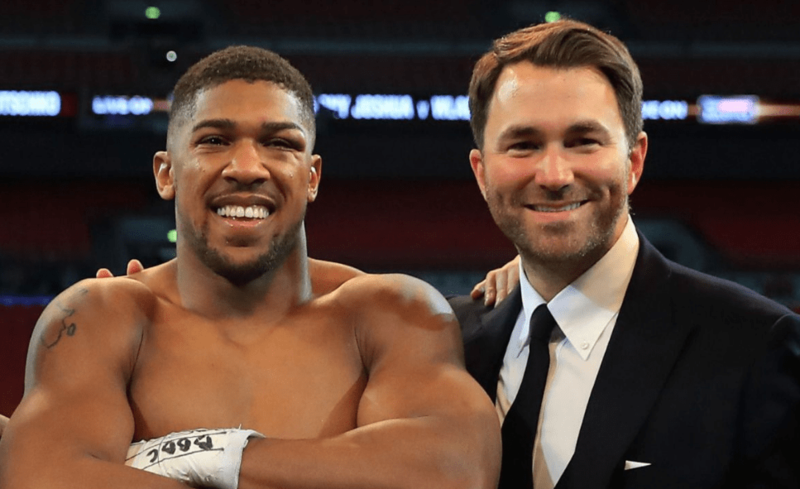 Since beating Alexander Povetkin, Joshua and his team have been negotiating with Deontay Wilder’s and Dillian Whyte’s teams, but failed to reach agreement. “It looks like April 13 is unlikely,” said Hearn (via Boxingscene).